Giving a boost to producers such as Oil and Natural Gas Corporation (ONGC) and Reliance Industries (RIL), the price of domestic natural gas in India has increased by 10 per cent to $3.69 per million metric British thermal units (mmBtu) for the April-September period, compared to $3.36 per mmBtu during October to March period. Producers will be able to charge a maximum of $9.32 per mmBtu for difficult fields, posting an increase of about 22 per cent from $7.67 a unit during October-March. This includes gas produced from discoveries in deepwater, ultra deepwater and high-pressure-high temperature areas. The price of domestic natural gas is decided after every six months, based on a formula, taking into account average rates from international trading hubs. This will lead to increase in costs for consumers, a Jefferies report stated. “Among users, Gail’s costs should rise, but LPG prices have risen too while Indraprastha Gas and Mahanagar Gas should be able to pass on the moderate price hikes needed to maintain margins,” the report said. This is going to have a positive impact on state-run ONGC, which posted a record 6.5 per cent jump in natural gas production to 25.9 billion cubic meters in the 2018-19 fiscal year, up from 24.61 billion cubic metres (BCM) in 2017-18. The company chairman on Monday told agencies that it is on course to produce 42 BCM by the end of FY22, when its prized KG basin discoveries will come onstream. “Some of our gas fields such as the Bassien field in western offshore are very old. These continue to make a substantial contribution to the overall domestic production of gas because of continuous monitoring of the fields, applications of state-of-the-art technology and best possible reservoir management,” Shanker said. A bulk of the company’s output in the 2018-19 financial year came from fields that were given to ONGC on a nomination basis. Gas output from these rose to 24.683 BCM against 23.43 BCM in the 2017-18 fiscal. 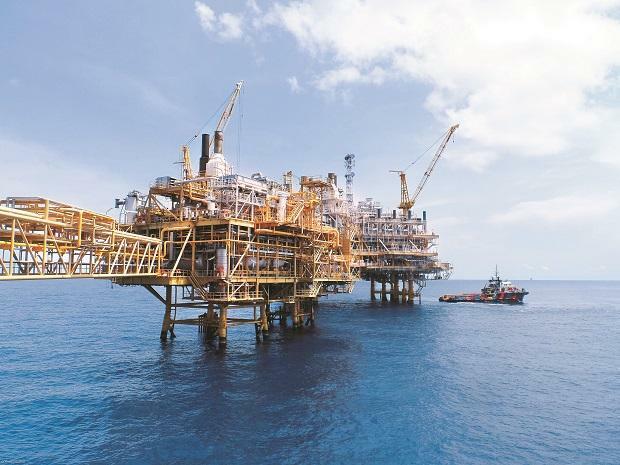 The growth in output was largely contributed by C-26 Cluster fields, Daman and Vasai East fields in the western offshore as well as sub-sea well S2AB in the eastern offshore, he said adding ONGC has charted out a plan to double the gas production at 42.7 BCM by 2021-22. The firm is investing Rs 57,000 crore — one of the highest investments in the world in gas projects — in the high potential KG-DWN-98/2 project in the Bay of Bengal as well as in developing other discoveries on and off the west coast. First gas production from the KG-DWN-98/2 project is targeted for end-2019 and peak output is envisaged at 16.56 mmscmd by 2022.